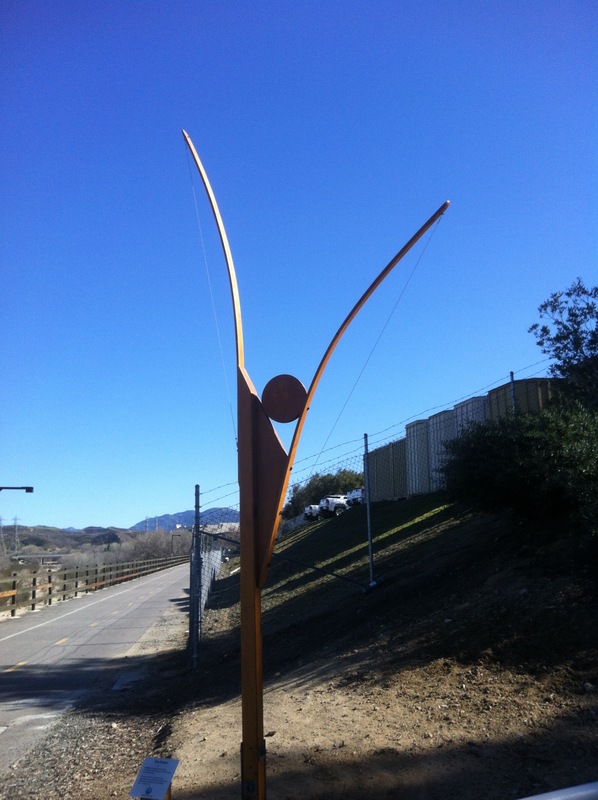 This was an outdoor sculpture project, for the city of Santa Clarita, California. Permanent installation was made on the South Fork Trail bike path. The piece was designed for this specific location, and was finally adopted by the City in December 2012. 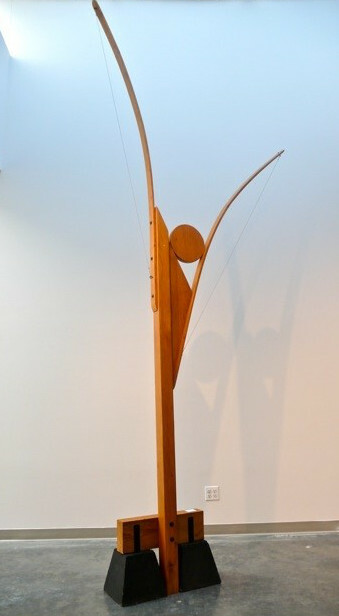 This piece was 14 feet high from its base, and had a wingspan of 7 feet. It is made of wood (Douglas Fir and Redwood), with steel supports, and cable connecting the curved sides. It is only 4 inches deep, as it was originally designed to attach to the split rail that is on the other side of the pathway, in order to not extend into the bike path. The piece was destroyed by vandals within six months of the final installation.